Cummins INLINE 7 is Cummins DataLink Adapter with Cummins INSITE 8.3 Software work for Cummins diesel engine diagnostics till 2018. Cummins INLINE 7 Diagnostic tool replace Cummins Inline 6 with V7.6 INSITE Cummins software work on Win 7/ Win10 system. 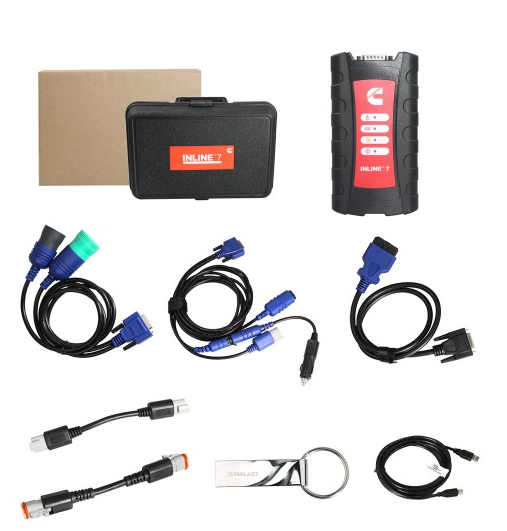 Obd2tool.com have Cummins Inline 7 with Cummins Insite 8.3 software for Cummins engine diagnostic new released.